With bright lively citrus and summer fruit flavors - like honeydew melon, nectarine, and pair - our Sauvignon Blanc is perfect for picnics, entertaining on the patio, or rewarding yourself after a long day. Our Sauvignon Blanc shows Rex's sassy side with its lively citrus and green apple flavors. Highly versatile, nearly any dish seasoned with fresh herbs can be paired with it. That's because Sauvignon Blanc has an herbal quality, making it easier to align the flavor of the food closer to that of the wine. 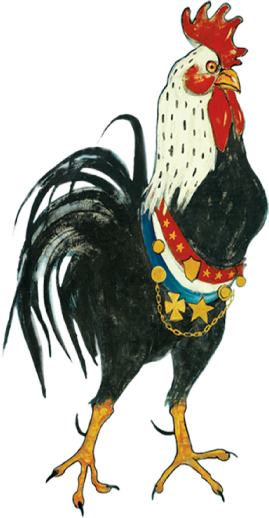 Just like the 47 lb Rooster, you'll never forget this bright, crisp and refreshing white. Enjoy its rich, round palate with mild cheeses, shellfish, snapper, herb roasted chicken or Caesar Salad. Find Rex Goliath Sauvignon Blanc near you. Enjoy recipes and food pairings with Sauvignon Blanc.